Sigh, I'm not sure if I'm a mood for discussion like that. Instead, can you tell me what "hidden meaning" you see in this issue? Oh! Alright. Sorry, I'd never played any of the Gameboy Mega Man games, so I didn't know that was even a thing that happened. My brother was saddened by the fact there was an Elf War page, because he knew he'd never get to see that story come to fruition, but as a fan of Mega Man, I'm glad we got to see some Elf War ANYTHING, especially with it showing Axl around. The big question here though is: Why is Zero still in his old body while fighting Omega? Shouldn't he be in his new body? This was by far Archie's best written series. It really is a shame to see it go. Great characterization, real flaws, actual consequences, and of course fun action. I'm really going to miss this gem. Something about the Mega Man 6 page has me wondering something. So we all know that Wily was going to take Mr. X's place. But in the top left of the page we see someone, presumably the real Mr. X, being thrown into some kind of portal. I wonder if Wily was going to banish Mr. X to be lost in time (or something) in order to take his place and orchestrate the events of Mega Man 6. BTW: That Short Circuit was amazing! But why was retail Mega Man shown with the Captain N Mega Man? Just wondering. Astrobot7000 wrote: This was by far Archie's best written series. It really is a shame to see it go. Great characterization, real flaws, actual consequences, and of course fun action. I'm really going to miss this gem. I'm honestly surprised Capcom would allow ARchie to poke fun at the Moon thing. I would think that MML3 would be something shameful that they would want to have forgotten. At least the last issue makes me miss the comic less. I can kind of see the intentions Ian had for the issue. But between the clip show presentation and lazily dredging up another time travel plot device, the issue is just pointless and doesn't give off a proper send-off. To it's credit I will say the issue was better than Rock of Ages just for the poster quality art pieces, but that's not saying much. And I can appreciate how the timeline between MMX and MMZ is a hodgepodge of both art styles. If one were to look for a deep meaning in this issue. You could almost interpret Dr. Light as the reader, only to wake up from reading the last issue and moving on with their life. Slowly forgetting the comic ever existed. In the end, the off panel was a more worthwhile send-off. Finally got the issue! It took willpower not to go and torrent it beforehand or dive here to see what people thought. Okay, so ... the main story didn't disappoint me. I guess I'm in the minority, but I found it pretty satisfying. Maybe because it was exactly what I expected? I liked the little continuity touches they tossed in. MM looking confused in the MM4 splash was spot on and Bright doesn't look too happy either. The Stardroids splash was nice. I didn't take RaMoon's presence as an indication of his survival, but since it was mentioned earlier maybe it was. I like Plant's sad expression in the MM6 splash. MM9's splash is probably the best. Light, you short sighted moron, why do you think they look sad? But the real interesting bits are the World 2 and Elf Wars splashes. Since they're things you don't really normally see in regular continuity progression. I suppose in the Archieverse Quint just flat-out becomes MM. So far we haven't seen that time travellers can actually change the past, so I guess in this timeline he really does become Quint. No alternate future or anything. Which is ironic given that World 2 is actually one of the worse games in the series and Quint a pretty lame boss. It's also pretty dark In World 5 MM flat-out destroys Quint, essentially committing suicide. But, who knows? All the other robots survived. Maybe Quint would have survived after that too. I appreciated seeing the Elf Wars as a splash in itself and not just background exposition. But, yeah, shouldn't Zero be using Omega's body? Or maybe he should be in his Zero era body? I like that Light is a Cyber Elf. The Legends splash could have used a moon in the background, if they wanted to maximise the foreshadowing. Buuuut maybe not. No XOver splash, though? In theory that could have been one interesting storyline. Anyway, I thought it was a good ending. Pretty much what I expected. One thing I'm glad about is that my fan name of "Steel Devil" got used in an official product for Dreamwave's character. HAH! And they snuck in EXE and Star Force's Megamen as silhouettes too. And Cap N's Megaman. No offense to the rest of the issue, but that was probably the best part of the comic. 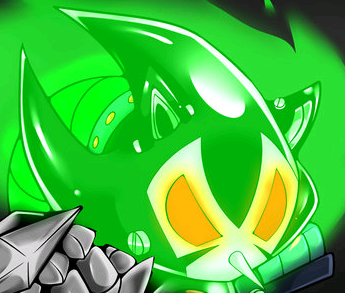 Did nobody notice the Dr. Light Cyber Elf? Zulon Eredas wrote: Did nobody notice the Dr. Light Cyber Elf? I noticed, but the inclusion of this page just makes me sad we'll never see more. This is all we are ever going to get. +While it is recycling the premise of Rock of Ages, I kinda like how its all done in splash pages. +Well...certainly wasn't expecting to see the gap between MMX and MMZ. +Noting that Plant Man and the MM4 designs seem more reluctant to fight. +...But the moment has been prepared for. I can't believe I didn't notice that Dr. Weil's design is based off unused concept art. Such a bittersweet ending. Ian, Jamal, and everyone else who worked on this book... thanks. Got my copy arrived at the comic store this week only so finally got to read it. All the one page glimpses just made me saaaaaaaad :( hopefully we get good Mega Man news from Archie soon. If they go thru with a new #1 like Mega Man X, I'd still rather have a Mega Man ongoing again. I don't know that this issue came across as 'cerebral', I can't say I found it intellectually challenging at all. My biggest criticism is that I got the feeling you were trying to set this issue up as some kind of 'Mega Man Tribute' art book or something - if that was your intention it didn't come off hugely successfully either. As nice as Ryan's artwork is - and I don't know how big your role was in plotting each image (meaning the blame for what I'm about to say may not be entirely on Ryan) - the artwork feels very samey and becomes boring very quickly - and I can't really blame Ryan for that because the whole point of a tribute art book is that a lot of different artists get to throw their hand in - and with different artists come different approaches to producing a piece of page art - meaning each page could have offered a different and fresh perspective - as the actual 'Mega Man Tribute' art books do. So - apologies for being blunt - but for me Mega Man #55 was unsatisfying and not very challenging - both artisitically and intellectually. I was most likely expecting too much though. Also Red Shift and Blue Shift were good. Also the issue before Worlds Unite started was good. Not to rub salt in the wound, but I never really felt that Archie Mega Man did enough to justify my subscription to it. It had its moments of insight - and Worlds Collide was a wonderful thing to have happened - but I always kind of resented my subscription to it - probably because I was only really supporting Archie Mega Man on the promise of getting a Mega Man X spin-off. In the end I had a lot of resentment for Archie Mega Man - especially during the Mega Man 3 adaption which I felt was very lazily written and poorly artworked. I've only really stuck around to the end because I wanted to see how it would end. If I hadn't known the comic was going to end shortly after (the abysmal) Worlds Unite crossover I wouldn't have stuck around. I rate your Sonic and Sonic Universe efforts very highly, Ian - but I'm sorry to say that your Mega Man efforts have always fallen short for me. I certainly wouldn't rate your Mega Man run as a 'jewel' in your 'creative crown of achievements' - but you probably feel differently about that. EDIT: corrected 'Worlds Collide' to 'Worlds Unite' where relevant (I sometimes get those mixed up because I'm a numpty). Last edited by DoNotDelete on Sun Jan 24, 2016 11:00 am, edited 1 time in total.